150 years ago this April the first guns of the American Civil War sounded at Fort Sumter, South Carolina. Many of the troops garrisoned in the fort were Irish, and Private Daniel Hough from Co. Tipperary became the first soldier to die when a cannon went off prematurely during the surrender salute at the Fort. He would be the first of many. It is estimated that in the region of 150,000 Irish served in the ranks of the Union army during the course of the conflict, with a further 20,000 donning Confederate grey. Many of these men and their families had fled their native country in the hope of making a better life in the United States, and had already borne witness to the horrors of the famine. Despite the enormous contribution in terms of manpower that the Irish made to the American Civil War, they remain all but forgotten in Ireland. 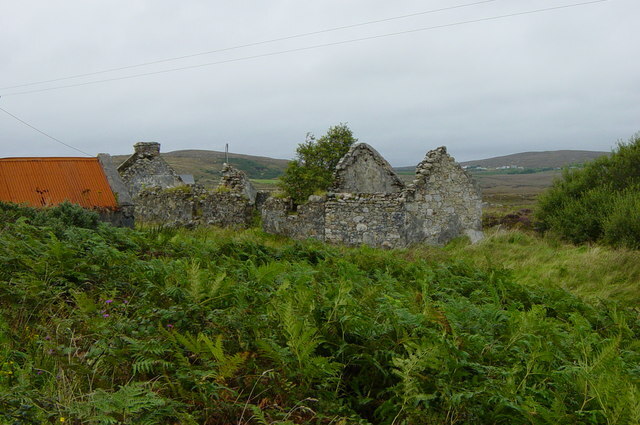 Only a handful are memorialized, and the majority are remembered solely through the ruined 19th century homes they left behind, which dot the Irish landscape. Despite this, it still remains possible to see locations associated with some of the more well known Irishmen who fought in the war. An example of this are the sites associated with Major-General Patrick Ronayne Cleburne, who served with the Confederate Army of Tennessee in the Western Theatre. He fought at battles such as Shiloh, Stones River, Chickamauga and Atlanta, and became known as the ‘Stonewall of the West’ due to his fighting prowess. He had perhaps the best reputation of any Confederate divisional commander outside the Army of Northern Virginia. 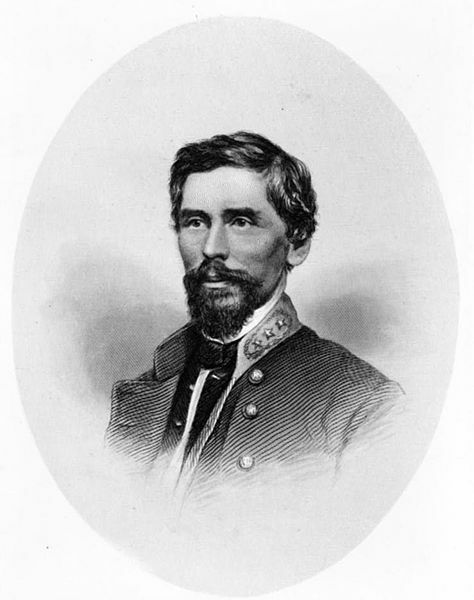 Cleburne was killed in action at the head of his division at the Battle of Franklin, Tennessee on 30th November 1864. The highest ranking Irishman to fight in the war, he remains very well known in the United States, where statues have been erected and counties named in his honour; unfortunately he is virtually unknown in Ireland. Cleburne was born in Killumney, Co. Cork, in 1828 and emigrated to the United States in 1849. The Irish countryside remains full of locations associated with him. The house of his birth, Bride Park Cottage, still stands, marked by a plaque in his honour placed their by visiting American reenactors. He grew up in nearby Grange House; unusually the building is now smaller than it was when Patrick Cleburne and his family lived there. Patrick would have been very familiar with the Ballincollig Gunpowder Mills close to his home, where his father had helped out as a doctor. 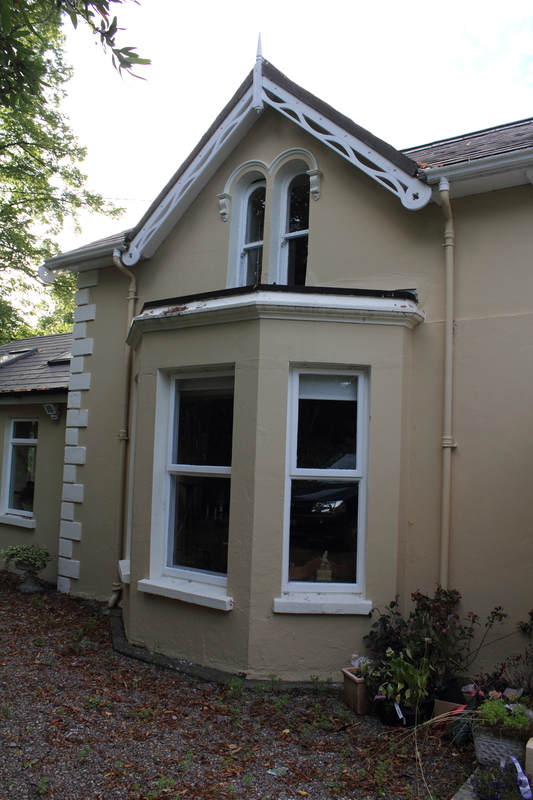 The young Cleburne would later spend time in other parts of Co. Cork, such as Mallow where he served as an apprentice druggist, and later, when in the British Army, he would be stationed at Buttevant Military Barracks. Perhaps the most poignant locations associated with Cleburne are the burial places of his father and mother. His mother died while he was still a baby, with his father following in 1843. The latter’s death set in train a sequence of events that would eventually lead to Cleburne’s departure for the United States. 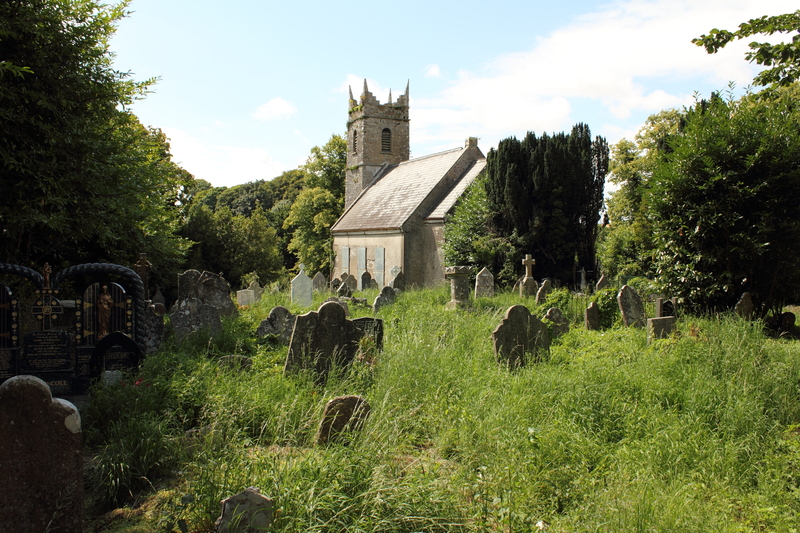 Today his father’s grave lies untended in the abandoned churchyard of St. Mary’s, but the inscription on the tombstone is still legible: ‘The Burial Place of Joseph Cleburne Esq. M.D. who died Nov. 24th 1843 Aged 51 years’. The survival of these sites makes it possible to follow in the footsteps of one of the American Civil War’s most famous generals, and indeed there are many other similar examples across the island. They are places that had a formative influence on the men who would serve during the American Civil War, and memories of them must have flashed across many Irish minds during the fighting. Such locations take on even more meaning as we recall Irish involvement in the American Civil War during the period of the sesquicentennial commemorations. It is important to remember places such as these in Ireland, so that they can stand as a reminder of the tens of thousands of Irishmen who served in that most terrible conflict. Know Thy Place recently completed work on the chart for the new Irish Taoiseach, Enda Kenny. 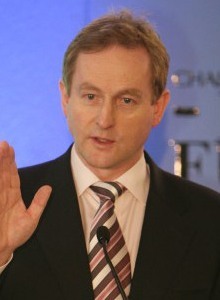 The Irish Prime Minister hails from the townland of Derrycoosh, Co. Mayo, in the west of Ireland. Apart from being in the midst of some of the most scenic landscapes anywhere in the Country, the Taoiseach is also fortunate to have grown up in one of the most interesting archaeological areas in Ireland. This history goes all the way back to the first settlers on the island, as evidenced by the Mesolithic finds discovered in nearby Belderrig. Incredibly, the earliest known field systems in Europe are also on his doorstep, at a Neolithic site called the Céide Fields. Some of most interesting archaeology in Enda Kenny’s place takes the form of early medieval crannogs. These were lake-dwellings that were either adapted from natural islands or artificially constructed using brushwood, stone and debris. While some crannogs could only be reached via boat, others were situated close enough to the shore to be accessed by a causeway like the ones beside the Taoiseach’s Place in Dambaduff Lough and Lannagh/Castlebar Lough. If Enda Kenny had been alive during the 1798 Rebellion he could have visited a French army under General Humbert at nearby Raheens townland. The French had landed in support of the United Irishmen, but after some initial success they were ultimately defeated at the Battle of Ballinamuck. The area was badly hit during the Famine, and many people emigrated from this part of Ireland to avoid starvation. Many of those who remained would have been involved in the Land League set up by Mayo native Michael Davitt, and the resulting Land War eventually led to the Land Acts of the late 1800s. This allowed people to finally begin to manage their own land. The benefit of this can still be seen around the Taoiseach’s Place, signaled by the increased number of small fields which were marked out at this time as people’s standard of living began its slow rise towards that we enjoy in the modern period. Researching Enda Kenny’s Place has been one of the most enjoyable we have undertaken to date, and is an example of what can be revealed on a Know Thy Place Chart. Company Director Colm Moloney will be a guest tomorrow on Today With Pat Kenny on RTE Radio 1, to discuss the Taoiseach’s Chart and the services Know Thy Place provides. If you are interested to be sure to tune in after 11am GMT, you can listen here. Who knows, you might find that your very own Know Thy Place Chart is the perfect present to yourself!